House of Guitars: VHS or Beta? Wow, this area in particular was a real mess. 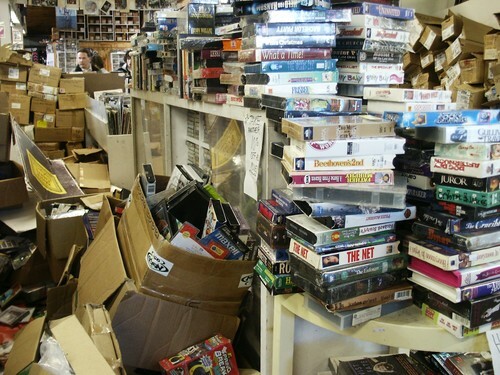 VHS Tapes? But you know what, there were Kaiser Chiefs flats and promo singles mixed in there! You never know what you'll find or where you'll find it at The Hog.